"Your Grant Map has replaced all the tools we previously used to identify proven donors." Prospect Better: Improve your prospecting through our Grant Map. This dynamic tool, updated weekly with new grant data, allows organizations access to over $2B worth of data to prospect better and win more grants! Save Money: Our Group Purchasing Portal allows organizations to save hundreds of dollars on vendors you use every day. This tool alone pays for a NAVSO membership. Get Highlighted: Through our Member Spotlight, we have an opportunity to shine the light on your great work, every time we receive a call from an investor on where to send their money. The next check may be coming your way! 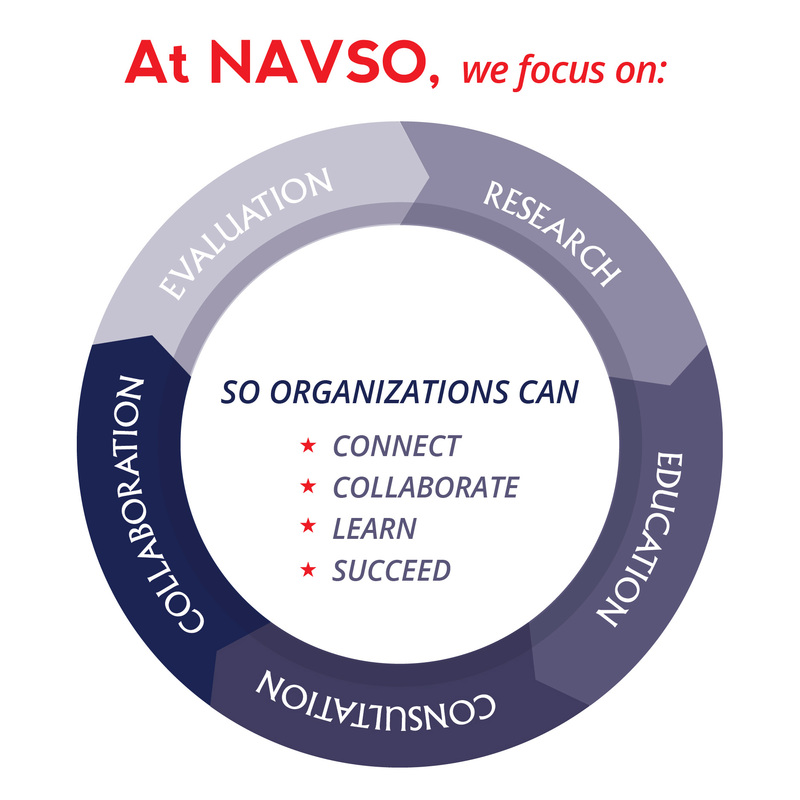 Research: NAVSO oversees and funds evidence-based, actionable research concerning the evolving needs of veterans and military families and the leading solutions facilitating their success. Educate: NAVSO educates service providers via research results, provides quality benchmarks and shares best practices while providing actionable ways to implement them in their community. NAVSO educates through online webinars, speaking engagements and conferences. Consult: NAVSO experts advise veteran-serving organizations, government agencies and corporations to help them identify key areas of need and to improve their services for veterans and military families. Collaborate: NAVSO facilitates collaboration by creating a shared vision around high-impact, evidence-based benchmarks. Through the NAVSO network, member organizations have access to toolkits and shared data; participate in national task forces; and connect with like-minded organizations and other stakeholders such as government agencies, corporations and philanthropy. Evaluate: NAVSO provides quality benchmarks and helps organizations measure the effectiveness of their programs. NAVSO believes evidence-based decision-making will ultimately help more organizations deliver higher-quality services to more veterans and their families. "I was very satisfied with the webinar and signed up for a 3 year subscription. I have already recommended NAVSO to some other non-profits."